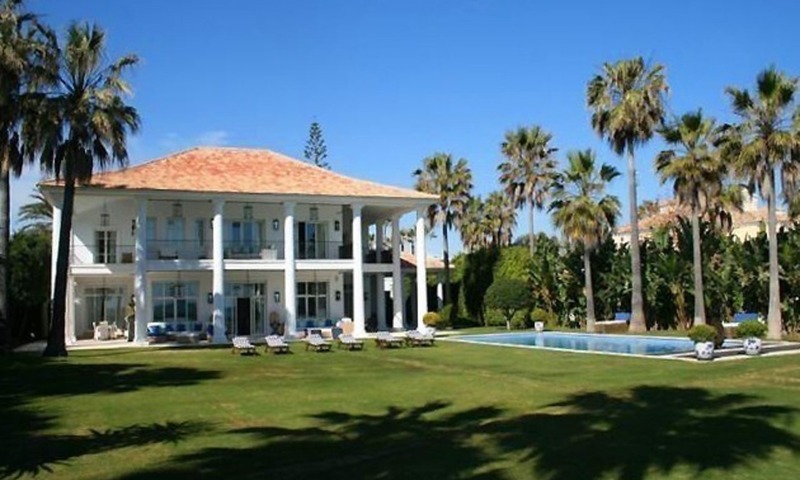 Frontline beach villa on a large plot of almost 3.000m2 in the Marbella area. Very private beachfront property to buy. 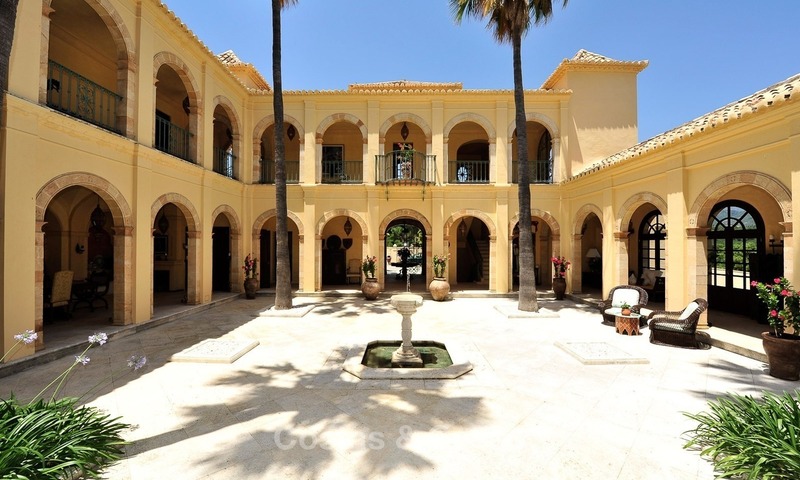 Southfacing Villa with high ceilings Central heating and air conditioning. Landscaped gardens with heated pool and impressive entrance drive. Staff quarters with 2 bedrooms, 2 bathrooms, living room and with independent entrance. Hall with double staircase. 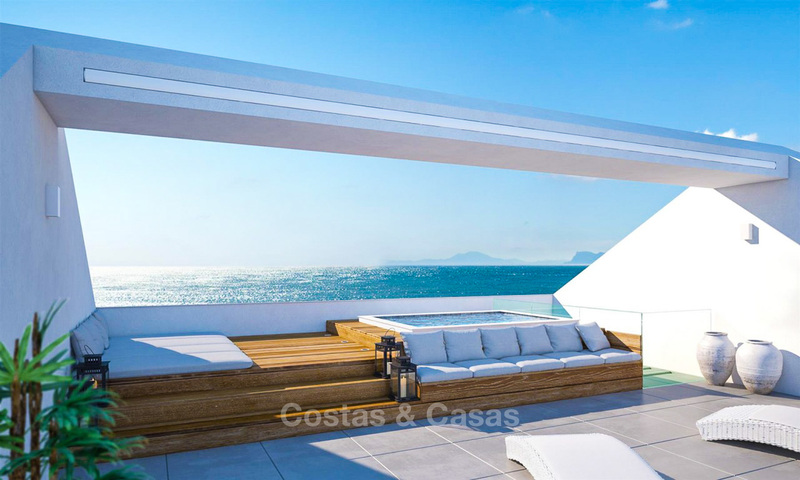 New modern beachside villa for sale in Marbella State of the art brand new beach side designer villa, recently finished to the highest standards. 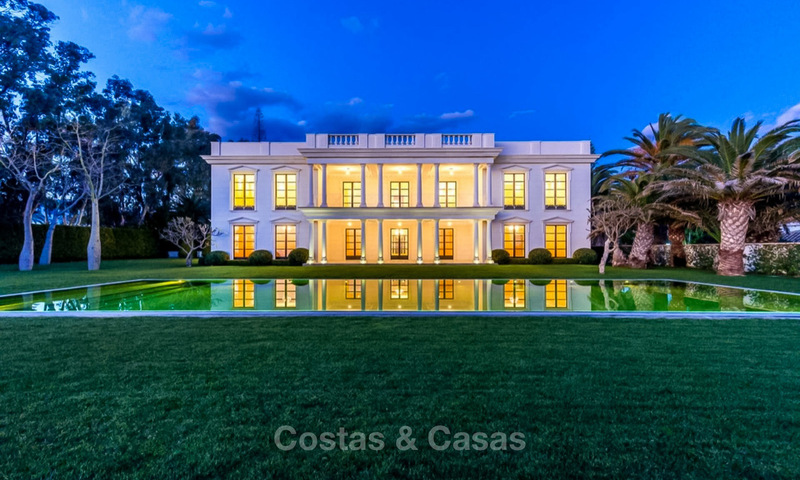 Second line to some of Marbella’s most breath taking beaches, and walking distance to the oldest and most famous golf course and its superb 5 star hotel. Distributed on two levels plus basement, offering 4 bedrooms and 4 bathrooms en suite. Spacious living room with modern fireplace, fully modern fitted kitchen with informal dining area, separate dining room, TV room, guest toilet and 2 bedrooms en suite with dressing area. 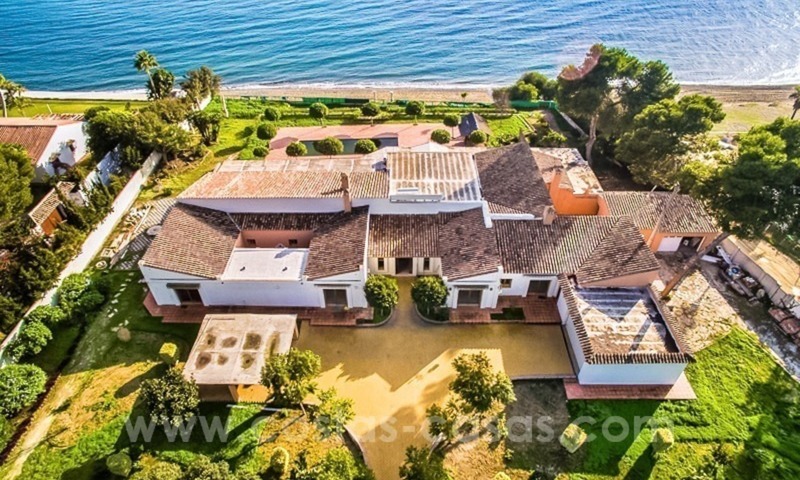 Exclusive Beachfront villa for sale, Marbella - Estepona Frontline beach villa on a plot of more than 2.300m2 in an exclusive beachside area. Palacial style villa. Impressive entrance hall with sweeping double staircaise an unique domed oval ceiling. Heated pool, oudoor Jacuzzi and sauna. Close to amenities and 5 minutes from Puerto Banus - Marbella.